This lovely lamp was handmade. 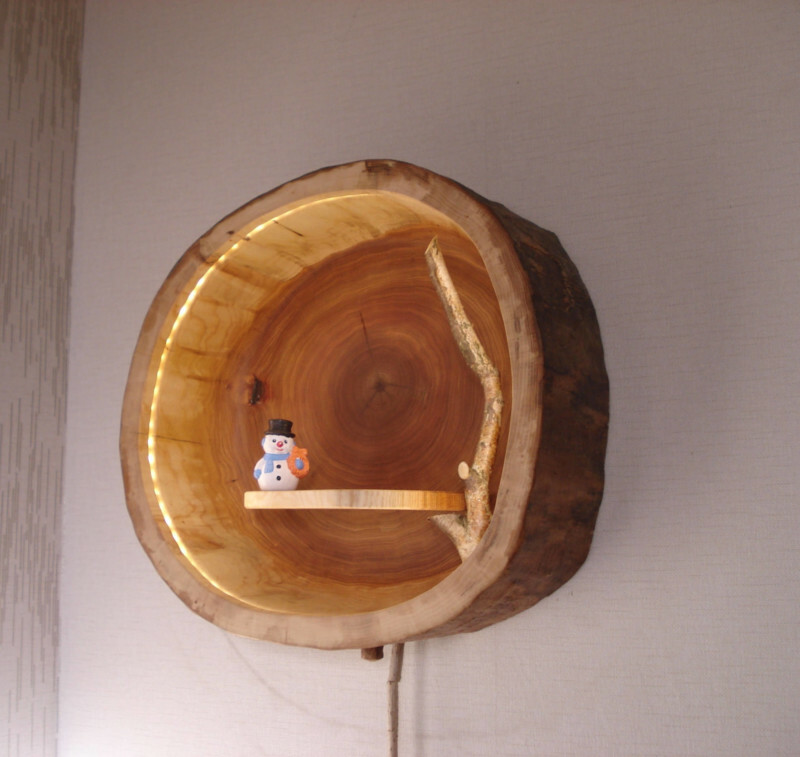 It makes the light shine gently and brings home comfort through the natural wood. The log with lighting is hollowed out to a uniform thickness of 2-3 cm, thus drying in a drying plant to 8% wood moisture is possible. The tree trunk is free of insects due to the heat treatment of over 60 ° C. After drying, the log is ground and oiled. The flexible LED-band is attached to the inner wall.